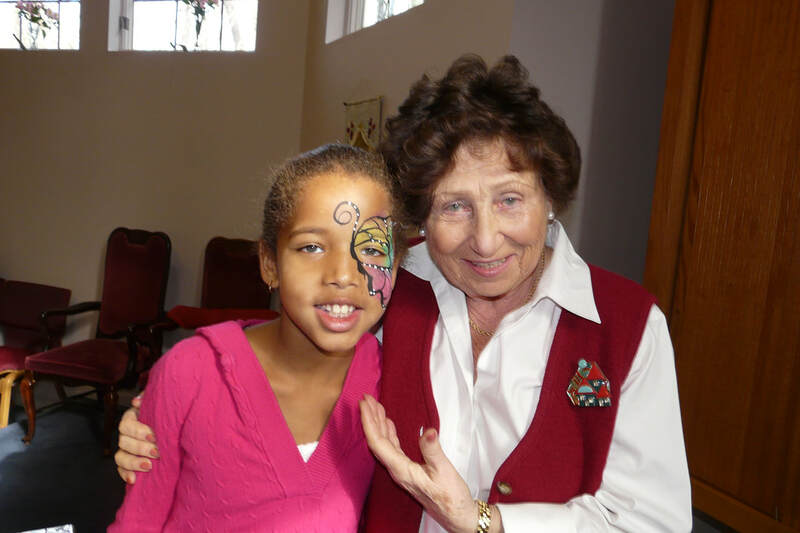 The Kehillath Shalom Synagogue Religious School seeks to awaken in each child a Jewish identity rooted in ethics, wonder, gratitude, and tradition. Our Reconstructionist approach fosters intellectual engagement and a commitment to Tikkun Olam (repairing the world). By meeting each student as they are, and honoring the potential for who they will become, we strive to develop lifelong Jewish learners. We are committed to inspiring our students with a foundation of knowledge in Jewish history and culture paired with the skills necessary to glean the richness of Jewish tradition and to enter fully into the Jewish community. We believe experiential learning is essential for children’s understanding of classroom content. Therefore, we offer many hands-on learning activities to deepen and enliven our studies. The curriculum is designed to create connections between parents, children, and the Jewish community at Kehillath Shalom Synagogue. 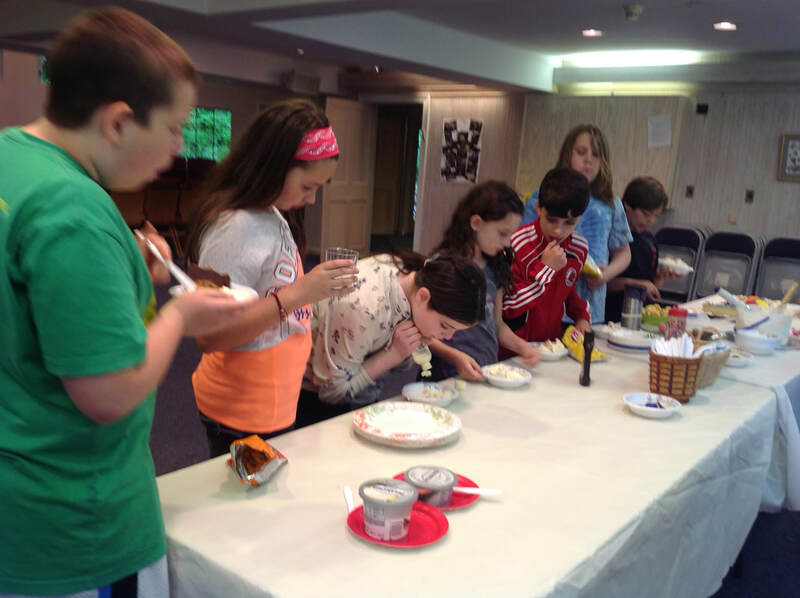 Family participation in class Shabbat services, family workshops, model seders, museum trips, life cycle and ritual celebrations, and group Tzedakah projects all provide students with opportunities to enhance classroom knowledge with real-life Jewish experiences. Learning Hebrew enables students to participate fully in services, holiday celebrations, religious rituals, community life in our synagogue and in the larger Jewish community. The curriculum emphasizes the meaning and spiritual message of prayer as well as teaches skills to enable students to feel comfortable and competent in synagogue. We model and encourage an atmosphere that supports questions and exploration. Developmentally appropriate youth Shabbat services we seek to cultivate a sense of awe and connections with community. Families are warmly invited to participate in their child’s experiences through a number of rituals including group aliyot, reading and personalized T’filah (prayer). Students explore and discuss issues of human relationships, ethics and the drama found in our ancient and sacred texts (e.g. Bible, Midrash, and Talmud). They engage the Jewish literary tradition in creating their personal Midrash (creative commentaries) through the written, visual, and lively arts. Students practice approaching ethical issues and dilemmas through the concept of Tikkun Olam (repairing the world). This learning connects to a middot (character) curriculum focused on deepening awareness of personal values and of understanding their potential to make change in themselves and in the world. Students participate in a community-wide celebration of Jewish peoplehood, connecting with Jews - past, present, and future - at home and throughout the world.